Looking for a chance to give archery a chance? 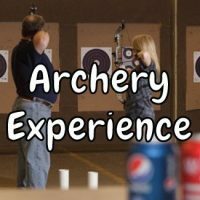 Try our archery experience. It includes your equipment rental (adult or youth), basic instruction (equipment usage and safety training), 2 hours of shooting time and a drink for each person. Can be booked for 2-5 people. Looking for something with a little more excitement? 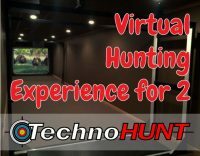 Try our Virtual Hunting Experience. RESERVATIONS REQUIRED. Click on the product below to book your time.